Firm of sculptors and ecclesiastical furnishers based in Belfast. Their commissions spanned the turn of the 20th century and included the carving of marble pulpits, fonts, reredos, altars and other decorations for churches in Ireland and the UK. Like their mainland counterparts, Farmer & Brindley of London, and Vickers , Young and Mossman of Glasgow, they produced work for a number of important church architects and restorers at the height of the Gothic Revival; their craftsmanship fully matching the skill and artistry of their Medieval and Renaissance forebears. 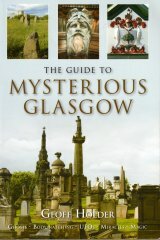 A good example of their output is the boldly carved marble Font in All Saints Episcopal Church, 10 Woodend Drive, Glasgow, designed for the architect James Chalmers, in 1904.